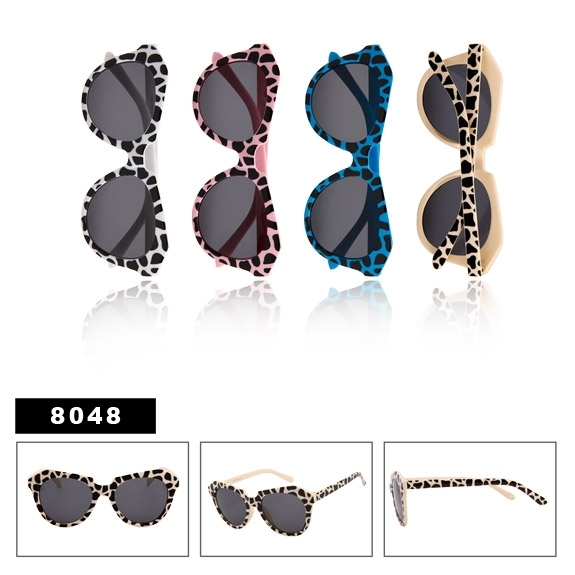 Animal Print Fashion Sunglasses for Ladies! This new style features a nice frame shape, covered in giraffe print patterns, in assorted colors. (12pcs.) Xsportz-XS52 (12pcs.) Diamond Eyewear-DI503 (12pcs.) Diamond Eyewear-DI116 (12pcs.) Kids Sample Pack-SPK1.